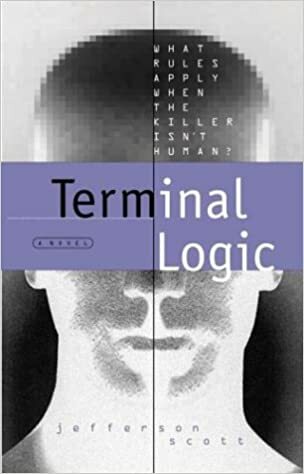 I finished reading Terminal Logic by Jefferson Scott yesterday. It’s published by Multnomah Fiction; Sisters, Oregon and copyrighted in 1997 by Jeff Gerke. 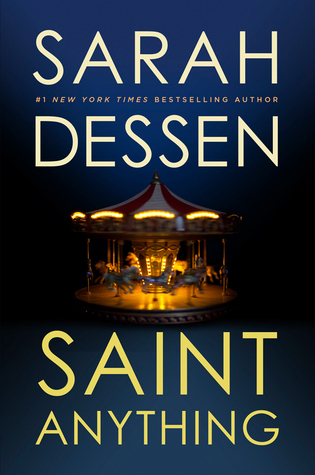 This is the second book in a techno-thriller series and now I’m anxious to read the third one. It’s computer and Virtual Reality based. Terminal Logic scared me quite a few times throughout the reading. I wanted the heroes to thrive and survive. I know a few people who own Virtual Reality head gear. Not only did I care about the folks in the story but those whom I love that have embraced the new technology. I hold onto promises from God because I’ve seen Him remain faithful to His Word when fear tries to grab a hold of me. Psalm 34: 15-19 are favorite verses of mine. Do you have a place you go to in the Bible in times of distress? How about for times of giving thanks? I read an e-mail from Jerry Jenkins today and afterwards I answered his survey. I don’t do that often, but today I felt I could spare some time. Last night I got to listen to a video by Ray Comfort and Kirk Cameron on how to share our faith in Jesus Christ. They touch my heart. When I think that when I was a young adult computers weren’t even available, it’s amazing. Now to be able to talk to people all over the world with a few keystrokes, it’s hard to believe. The internet opens possibilities I never dreamed of. Do you ever think about the e-mails you get or the videos on YouTube or the instant communication on Myspace or Facebook or Skype or the blogosphere? Or do we as human beings stand in amazement at all the inventions and then begin to take them for granted? I do. What I find incredible about the Bible is that a book penned about 2,000 years ago and well before that speaks to my issues today. It’s timeless and appropriate for today’s questions. This prophesy was fulfilled by the Romans in 70 A.D. There’s so much more about end times in this chapter. Mark 13:5 And Jesus began to say to them, “See that no one leads you astray. Mark 13:6 Many will come in my name, saying, ‘I am he!’ and they will lead many astray. Mark 13:7 And when you hear of wars and rumors of wars, do not be alarmed. This must take place, but the end is not yet. Mark 13:8 For nation will rise against nation, and kingdom against kingdom. There will be earthquakes in various places; there will be famines. These are but the beginning of the birth pains. Mark 13:9 “But be on your guard. For they will deliver you over to councils, and you will be beaten in synagogues, and you will stand before governors and kings for my sake, to bear witness before them. Mark 13:10 And the gospel must first be proclaimed to all nations. Mark 13:12 And brother will deliver brother over to death, and the father his child, and children will rise against parents and have them put to death. Mark 13:13 And you will be hated by all for my name’s sake. But the one who endures to the end will be saved. Mark 13:14 “But when you see the abomination of desolation standing where he ought not to be (let the reader understand), then let those who are in Judea flee to the mountains. Mark 13:16 and let the one who is in the field not turn back to take his cloak. Mark 13:17 And alas for women who are pregnant and for those who are nursing infants in those days! Mark 13:18 Pray that it may not happen in winter. Mark 13:19 For in those days there will be such tribulation as has not been from the beginning of the creation that God created until now, and never will be. Mark 13:20 And if the Lord had not cut short the days, no human being would be saved. But for the sake of the elect, whom he chose, he shortened the days. Mark 13:21 And then if anyone says to you, ‘Look, here is the Christ!’ or ‘Look, there he is!’ do not believe it. Mark 13:25 and the stars will be falling from heaven, and the powers in the heavens will be shaken. Mark 13:26 And then they will see the Son of Man coming in clouds with great power and glory. Mark 13:27 And then he will send out the angels and gather his elect from the four winds, from the ends of the earth to the ends of heaven. Mark 13:28 “From the fig tree learn its lesson: as soon as its branch becomes tender and puts out its leaves, you know that summer is near. Mark 13:29 So also, when you see these things taking place, you know that he is near, at the very gates. Mark 13:30 Truly, I say to you, this generation will not pass away until all these things take place. Mark 13:34 It is like a man going on a journey, when he leaves home and puts his servants in charge, each with his work, and commands the doorkeeper to stay awake. Mark 13:36 lest he come suddenly and find you asleep. Mar 2:8 And immediately Jesus, perceiving in his spirit that they thus questioned within themselves, said to them, “Why do you question these things in your hearts? Mar 2:9 Which is easier, to say to the paralytic, ‘Your sins are forgiven,’ or to say, ‘Rise, take up your bed and walk’? I hope and pray that I never take the Word of God and Jesus’ sacrifice on the cross for granted like I do earthly blessings, like the internet and having time to spare. Life and Plans – Hah! My husband kidded me tonight about my tendency to not pay attention to time. I’m aiming to whittle back on my night owl sleep time a half an hour each day until it reaches a more reasonable hour. Tonight he told me it was eleven o’clock. I asked what time I went to bed last night. You really don’t remember, do you? My logical “day timer” husband laughed. Lol. I’m glad he enjoys me. Every once in a while I tell him I’ll keep him. Some days we’re two peas in a pod, other days he’s a radish and I’m an asparagus. Thank God for unique people. It makes life interesting. I thank God for, well God. He adds joy to life even when it’s scary in the world.